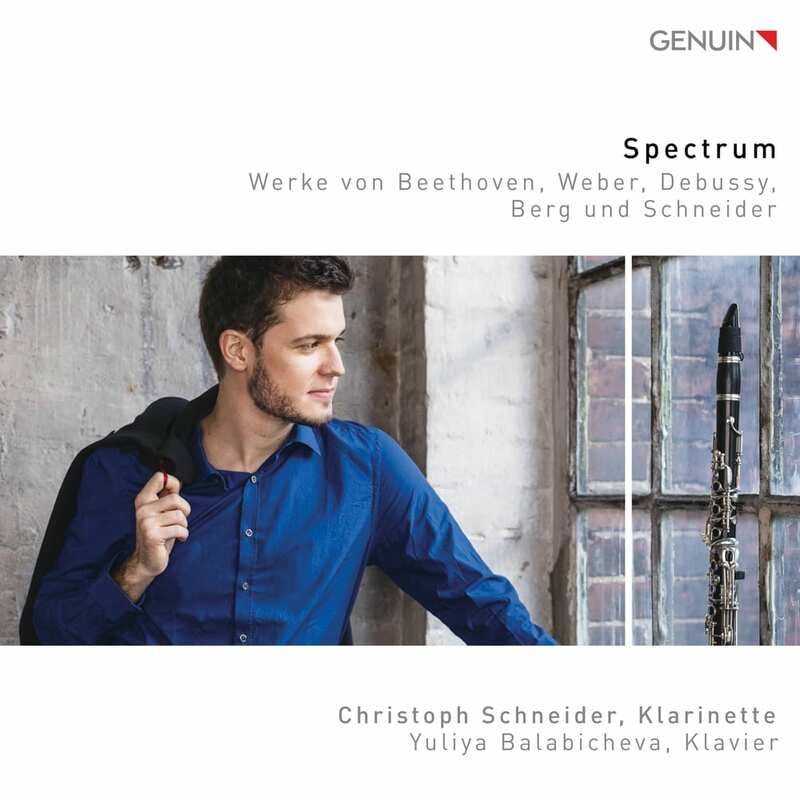 The young clarinetist Christoph Schneider is not only the 1st solo clarinetist of the Deutsche Oper am Rhein, but also winner of numerous prizes (such as the ARD Music Competition and the Concours International "Henri Tomasi"). And his GENUIN debut release as a duo with the equally highly acclaimed pianist Yuliya Balabicheva demonstrates why: this is playing at the highest level, featuring chamber music performed with great sensitivity. From classics such as Weber's Grand Duo to adaptations such as Beethoven's Spring Sonata to new music – and even by the musician himself: Schneider's crazy virtuoso "Konstrukt" experiences its world premiere recording on the present release. More of it!